NEW YORK (WABC) -- A Texas woman was arrested after authorities say she was drunk and violent on a flight into New York last week. 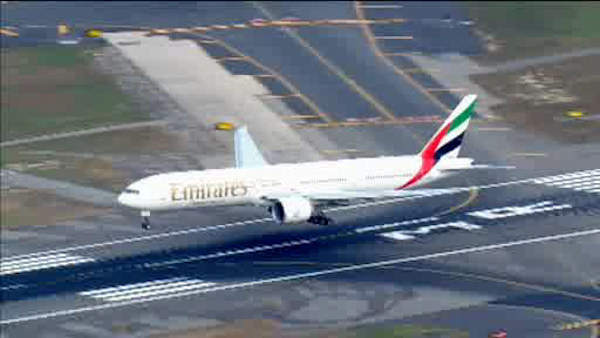 Police say 26-year-old Amanda Renee Nixdorf had "consumed multiple alcoholic beverages" on Emirates Airlines Flight 201 from Dubai to JFK on July 15. Nixdorf was allegedly yelling that she wanted to get off the plane and kicked a flight attendant who tried to restrain her. She was successfully restrained, but authorities say broke out again and bit a flight attendant in the arm. Nixdorf was taken into custody when the plane landed at Kennedy Airport. She was arraigned in federal court in Brooklyn Wednesday.